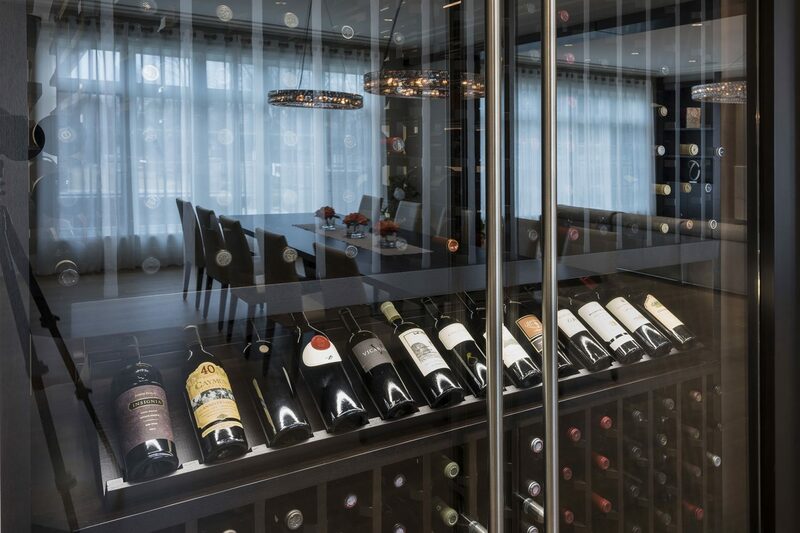 Custom Wine Cabinets a Growing Trend for Wine Collectors in Chicago | Glenview Haus | Chicago. Custom Front Entry and Interior Doors, Custom Wine Cellars, Custom Cabinets. Wine enthusiasts throughout Chicago are embracing a growing trend in home wine storage – refrigerated custom wine cabinets. What began as a trendy way for urban restaurants to save space by turning inventory into décor, is now the latest way for wine collectors to flaunt their impeccable taste. More than just a space-efficient option for urban and suburban homeowners, the custom wine cabinet is the modern wine collector’s dream. This hybrid storage solution combines the at-your-fingertips access of a wine fridge with the elegant display capabilities and larger storage capacity of a wine cellar. Greg Wozniak, owner of Glenview Haus Custom Doors and Wine Cellars, has noticed the increasing popularity of refrigerated wine cabinets in Chicago and its surrounding suburbs. A recently completed project in Chicago’s suburban North Shore demonstrates the shifting marketplace. 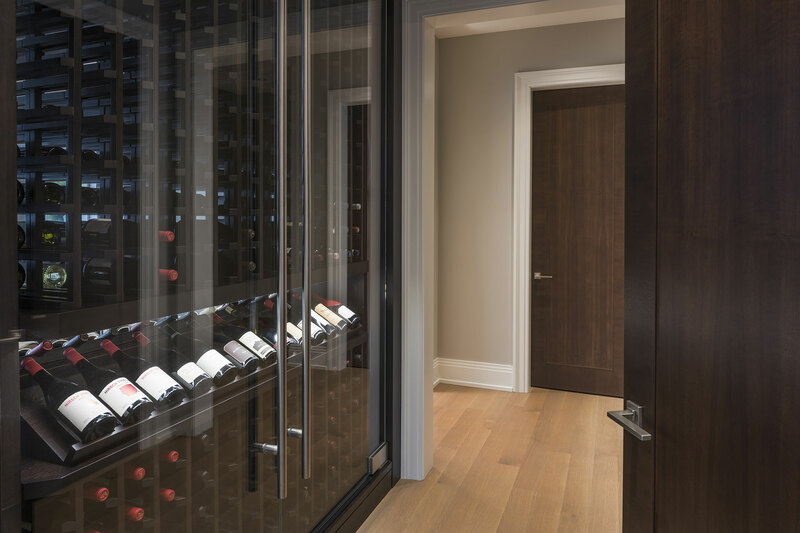 Although the newly constructed home – outfitted with stunning custom finishes from floor to ceiling – had more than enough space for a traditional wine cellar, the owner opted for a double-sided wine cabinet accessible from both the hallway and the dining room. Besides doubling the cabinet’s storage capacity to that of a typical wine cellar, the double-sided cabinet also creates a stunning “wall of wine” in two rooms of the house. Like a lovingly curated bookshelf or a dynamic wall of art, a custom wine cabinet displays a collector’s carefully chosen portfolio in plain sight.